Sarah Blenkinsop was lying in a hospital bed listening to a crash team working on the lady next door for many hours. It was the wake-up call she needed to improve her health. Seven months on and seven stone lighter, Sarah says The Harcombe Diet has probably saved her life. I am a 52 year-old self-employed environmental educator and organic smallholder. Home is set within four acres of rural Herefordshire, which I share with my wonderful family, together with chickens, cats, guinea pigs and assorted wildlife. We try to live a more self-sufficient, organic lifestyle here, while still having a comfortable life and lots of fun. However, at the end of June 2014 I was rushed to hospital. My arm had turned sceptic after an insect bite and my blood pressure had rocketed to 220/135 – that’s stroke and heart attack range! Whilst in hospital I got a friendly, but serious, talk from a consultant about how much my weight was affecting my health – all stuff I knew and had ignored in the past – but this time it was to prove life-changing. What was the final straw to taking control this time? Well, here I was: in a lot of pain, very ill and very frightened in an acute admissions ward, surrounded by some seriously unwell people. I had to listen to a crash team working for many hours on the lady next door. Yes, this time, I certainly took note because it was all becoming… well, a bit more real. After discharge from hospital I spent another two weeks recovering at home, on lots of medication and mostly in bed, with lots of time, and serious reason, to have a good hard think about my life and the way I was treating myself. I was very unhappy with how fat I had become, and the impact it was beginning to have on daily life and those around me. To be honest I was also a bit puzzled as to WHY I had become so fat; I only started to get fatter in 2001, after a serious bout of an illness which left me with long term ill health, all sorts of medical problems and on a lot of different medications. I was also diagnosed with Chronic Fatigue Syndrome at this time. Fortunately my health has improved a lot since then and I had been medication free for a number of years, but despite this improvement in my health, the weight still kept on piling on. I normally have a very active lifestyle; I don’t eat loads of cake or chocolate and our food is largely home cooked from scratch with lots of fresh fruit and veg, wholemeal bread, pasta and cereals. So I was a bit puzzled as to why I just got heavier and heavier over the years and, even though I tried to diet and “did more and ate less”, it just did not seem to work for me. The BP medication was also making me feel terrible, and I was determined to do something to ensure I didn’t have to take it for the rest of my life. But mainly I was just frankly terrified that if I did not do something about how fat I had become, I might not be around those I loved much longer. My mother sadly had a stroke, the first of many, when I was only 11 and she spent the rest of her life (another 15 years) in hospitals, paralysed and in a wheelchair, unable to speak and with brain damage. The thought of putting my family through what I had gone through as a child, growing up without my mum, finally spurred me into action to improve my own health. How and when did you find out about The Harcombe Diet? I had a copy of “Stop Counting Calories and Start Losing Weight” by my bed, so while I was convalescing, I read it again. Then I re-read it. Unlike the previous autumn when I read it the first time, it all made sense now. And it was summertime too – so I had unlimited organic salad growing outside, as well as a lot more motivation. After two weeks of convalescing at home, where I did not eat many mixed fat/carb meals or drink any alcohol so was doing a “sort of” Phase 2 diet, I got on my scales. Okay, I thought, this is a good start. But I had a LOT of weight to lose and I knew I needed to lose it to get my health back on track, so I decided to do things properly. I joined THD club, signed up for the 30-day Blitz package that day and got started on Phase 1. Even cutting out bread, pasta and potatoes, I did not feel hungry at any point. I piled my plate high with beautiful salads and cold meats; fish and green beans and roasted vegetables; roast chicken, roast parsnips and four different garden veg for Sunday lunch was hardly starvation rations or deprivation!. I felt dreadful for the first five days without caffeine and I could have killed for some buttered toast and Marmite, but I figured as I still felt dreadful anyway (I was still recovering from the infected bite), I would just stick to what the book said. And then, after a week or so, I started to feel livelier, more clear-headed, less sluggish, and my sleep was deep and refreshing. Each day, I felt a little better. Each day my achy joints, fogged brain and sore muscles felt better. I stayed on Phase 1 for seven weeks, lost another 3 stone, and then moved to Phase 2. I added in more carb based meals as I wanted to see how they affected me, as winter here means fewer salads from the garden and more root vegetable based meals. I slowly re-introduced various foodstuffs, one at a time. As a result I have identified that I have a real issue with wheat, as even organic, wholemeal bread seems to make me bloated and uncomfortable. I have more recently found that dairy products also disagree with me so have now cut out milk and cheese. Fortunately I still seem OK with butter! Unfortunately drinking even small amounts of beer upsets me (shame!) However, drinking my home-made organic cider does not. So that’s my new “cheating” tipple of choice! My former diet was “apparently” very good – lots of wholemeal home-made bread and wholemeal pasta, organic meat, dairy and home-grown veg. However, looking back, my food was very heavily carbohydrate laden, with lots of wheat based foods. What I now know is that my food choices were feeding the Candida lurking inside me and my wheat intolerance made it all even worse. What has been the biggest benefit to you of getting to your current weight? Seven months in, and I can honestly say that I have not felt this good for more than a decade. I feel SO much better! I sleep well and wake up raring to go and keep active all day. I bounce around full of energy, and my BP is now within the bounds of normal so I am off the medication! I look in the mirror and I am so pleased with how healthy I look. I’ve lost seven stone and dropped four dress sizes since I started this way of eating. I can finally wear clothes that I stashed away years ago! I recently put on my ’bum bag’, with the waist-strap set from the last time I wore it, back in mid-June 2014. I had to adjust it in by 12 inches. My family are delighted and very relieved at how much weight I have lost and how much healthier I am. Friends have commented on how good I look, how clear my skin is and how bright my eyes are. My nails are no longer flaky and chewed looking, but long and strong. I have even started varnishing them for the first time in 10 years! Yes, I have a lot more weight to lose but I know that if I just carry on doing what I have been doing, I will get there eventually. Oh, I also now have the joy of being able to buy “normal” clothes and underwear from mainstream stores. Sounds trivial I know, but it made my life miserable not being able to just pick up a pack of knickers or a tee shirt from a High St shop! So, onwards and ever downwards! Do you have any advice to our readers? Read the book. Then read it again 🙂 Stick to what it says. Plan and prepare so you never have an excuse to eat processed food and you always have good food around you. If you have Harcombe friendly options handy you won’t be tempted to eat unwisely. If you can, get rid of any processed foods before you start as it will avoid temptations. The first few days may be a bit difficult but stick with it as you WILL feel better! Try and grow your own veg if you can – it’s cheaper. Make friends with your local butcher (if you are not already) It’s cheaper and better meat. If you know you have stuck to the plan you WILL lose weight. If you do fall off the plan – don’t beat yourself up but just get back on to it at the next meal and it will be OK.
Join THD forum and Facebook group, and make use of the wonderful support which is available online. Forget calorie counting. Instead eat real food and plenty of it – don’t go hungry! And remember: fat is not the enemy! On a more serious note, I just want to thank you Zoe. I honestly think THD has saved my life. Sarah has continued her journey and now stands nine stone lighter, five dress sizes smaller, and gained an amazing clarity of thought. 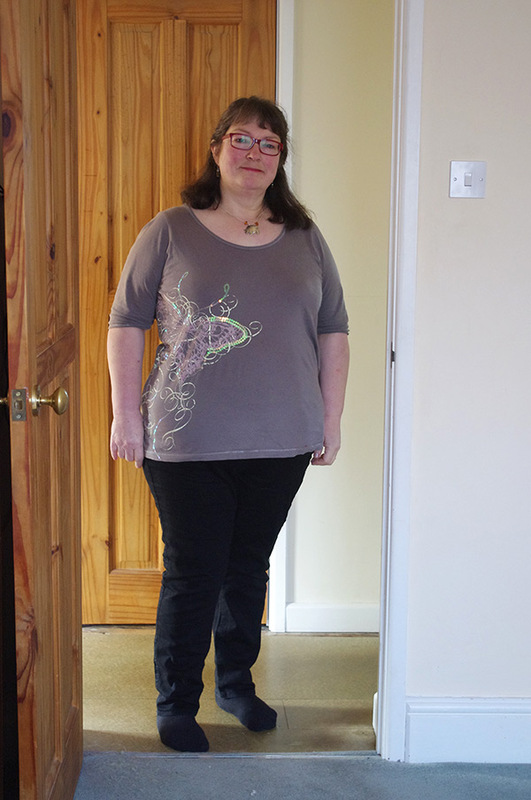 Since the media coverage in March, I have lost another two stone, so that’s nine stone in total, and I feel 33, not 53! I now enjoy a far more active at home with the family, as we manage our garden, orchard, chickens and woodland. I’ve also returned to environmental education and as a volunteer as a Master Composter and [email protected] Mentor. I also relish the time I now spend mentoring and encouraging others inside and outside the club. Then there’s life away from home: Together with hill walking and sea canoeing, I spent a very special four days at the ‘Big Lunch Extra’ camp at The Eden Project. Next comes a number of sustainability-oriented Festivals in England and Wales, where I will be running workshops and camping for up to a week at a time! One of the more unexpected aspects of my THD journey is being able to clearly recall, calmly and rationally look back on historical abuse and other stuff up to 40 years in my past. If you would like to read about it, please take a look at my club member blog! I still have another five stone to go, but, if you had asked me a year ago what I thought my life would be like now, I never would have imagined life could be so good again. I have my health and fitness back, thanks to THD. And you’re journey isn’t over yet i’m sure. You have done so well. What an uplifting story. Massive achievement. Thank you Claire. It is very hard work a lot of the time ( cleaning out chickens in the depths of winter with mud everywhere and driving rain is no fun) but the rewards far outweigh the down sides. Having met you, you are awesome!! Truly inspirational!! What a fantastic story. A worthy champion indeed. Congratulations. I can never get enough of reading or hearing about your story Sarah. Inspirational! Ooh have had more local contacts emailing me! I think a Local Group is in order? Can I just say that I think your amazing. Such an inspiration. Can’t wait to meet you in person. Wow . I have just re listened to the clip. I am so glad I stopped being like that, thanks to THD. Wow Sarah – just wow! How do you feel now you’ve lost 10kg? Seriously, I look back to when I was last this weight (2000) and feel both very pleased and very angry, tbh. Angry at all the crap medical and dietary advice I was given over the years and angry that I was never told to cut the wheat and dairy, despite asking if I should. I also now understand how my gall bladder going wrong in 1985 and being told to eat low fat and high carb to avoid having it removed, triggered a cascade of ill health . I used to eat more lchf before then but I switched overnight to a low fat diet ( lots of bread, as well) and within months had all sorts of major digestive and joint issues. Looking back all classic signs of gluten intolerance but despite loads of very unpleasant medical tests I was eventually diagnosed with ibs and basically sent home to live with it. I struggled on with ever increasing problems for the next 15 years. Not surprising that after the birth of my daughter in 2000 my whole immune system collapsed and I developed Erythema Nododum (which is a rare form of Rheumatoid Arthritis, which I have recently discovered is linked as a classic sign of gluten issues! I am furious y at that not being spotted as linked to gluten, despite me being in and out of hospital and having loads more tests. So I am delighted at being healthier and lighter, but sad and angry at the waste of 30 years of my life with unnecessary, ever increasing ill health. You did yourself proud, Sarah. Jules. : That deserves a celebration! 10 STONE! Thats actually 63.5 kg! Compostwoman: 10 STONE! Thats actually 63.5 kg!